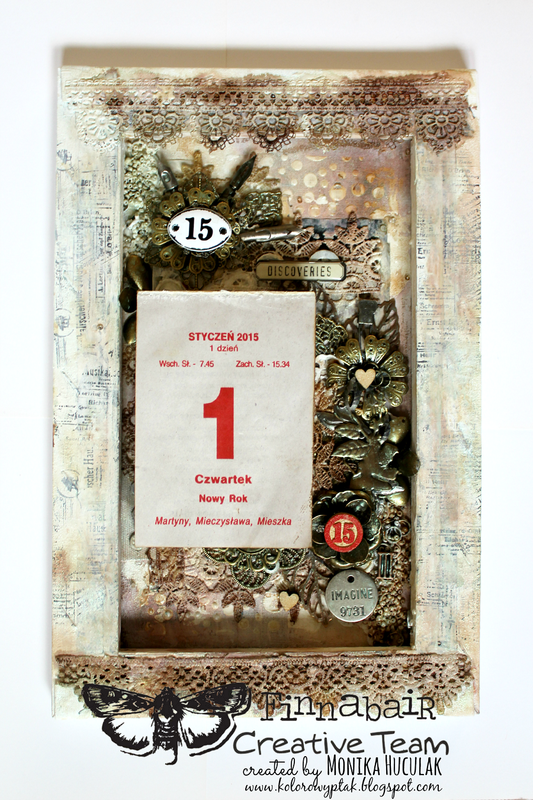 I was wondering what I could show you as my last work in 2014 and I decided that it will be my calendar for the New Year with the word "Discoveries" that I would like to remember in 2015 and to be my motto every day. 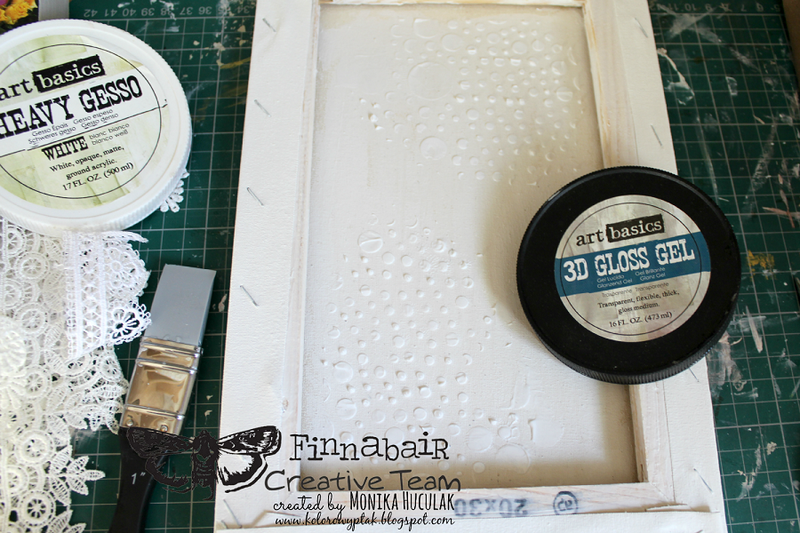 My base was the back side of a stretched canvas that I primed with White Gesso and then used 3D Matte Gel through the bubbles stencil. 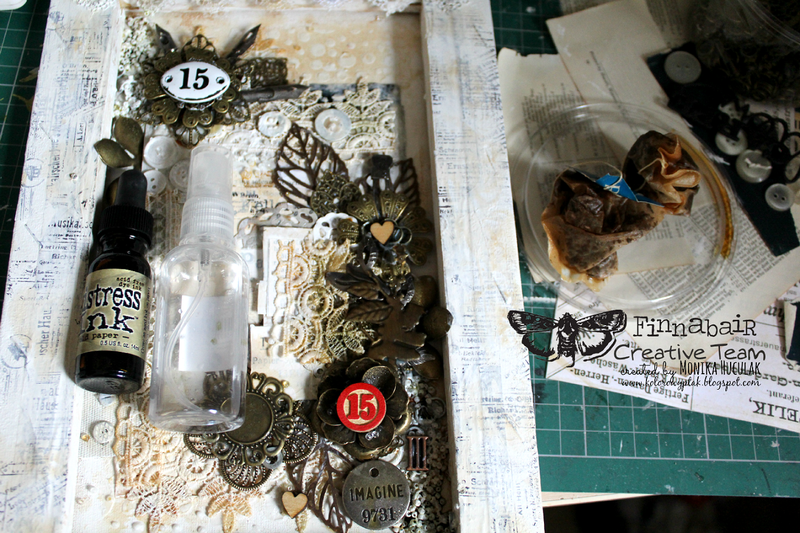 To blend in the area where canvas and wooden frame meet, I used three different tapes by Tim Holtz. 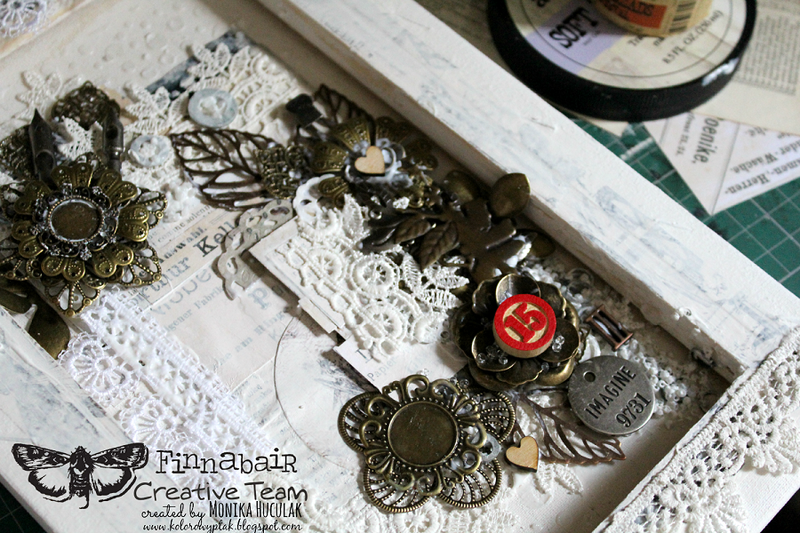 I wanted the inside of my shadow box to be as varied as possible so I used all sorts of paper scraps, pages from a vintage book, my favorite texts papers from Vintage Vanity collection and a die cut doily from Prima. 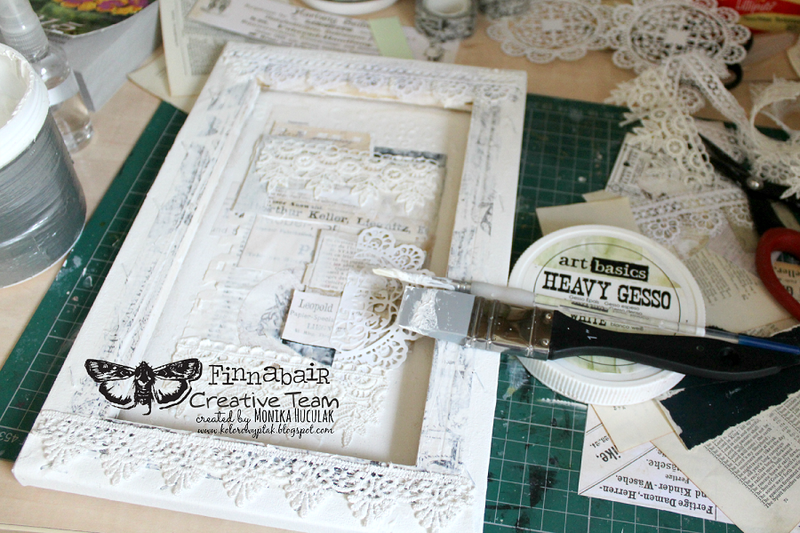 I also added some pieces of beautiful lace and covered the whole composition with a thin layer of White Gesso. 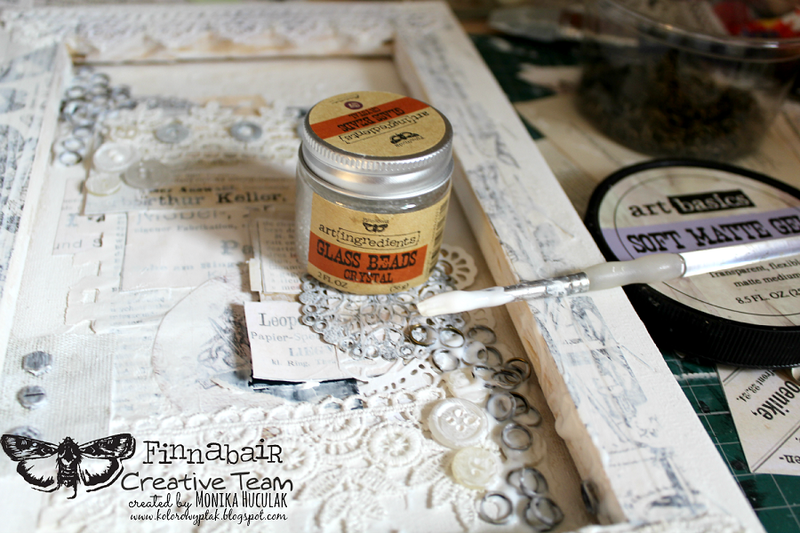 In the corners of my canvas I added small Mechanicals rings and Finnabair's Crystal Glass Beads applied with Soft Matte Gel. 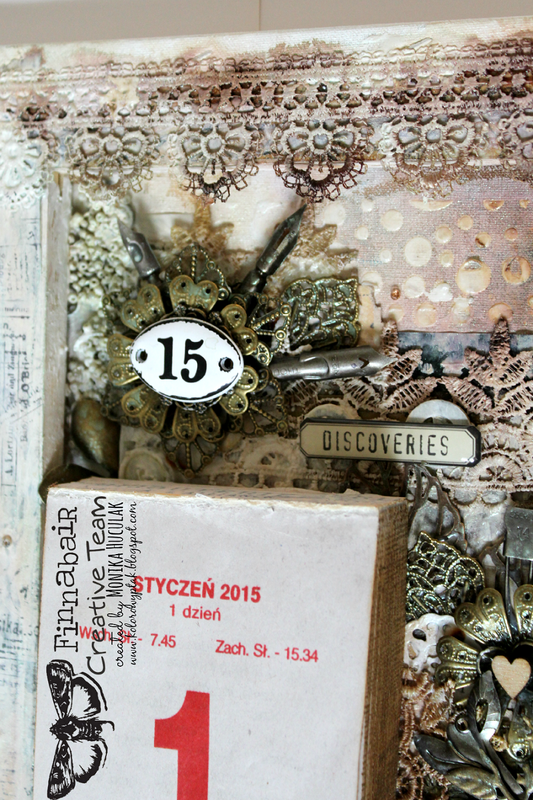 I also added some buttons, metal brads and other embellishments like Mechanicals and trinkets by Tim Holtz. 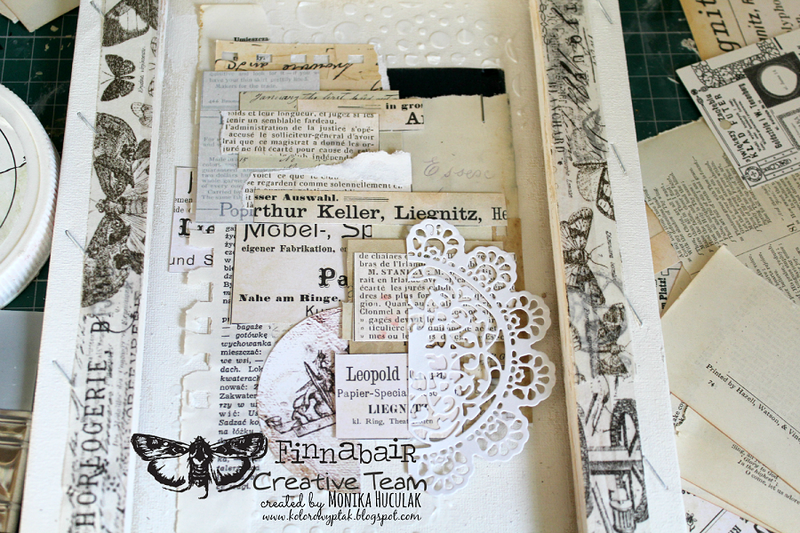 Then, I took Adverts stamp and Black Archival Ink and gently stamped the edges of my piece. 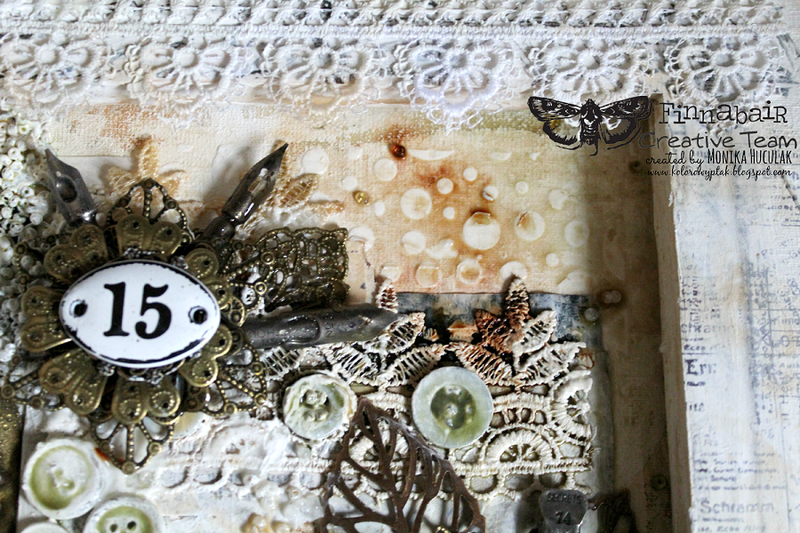 I distressed the edges of my calendar with Vintage Photo Ink and stamped Book stamp with Coffee Archival Ink. To add more to the vintage feel of this piece, I splashed some Earl Grey tea and Distress Inks that I later sprayed with a little bit of water to create some interesting stains. I LOVE it! Fantastic idea, Monika! This is beautiful Monika. 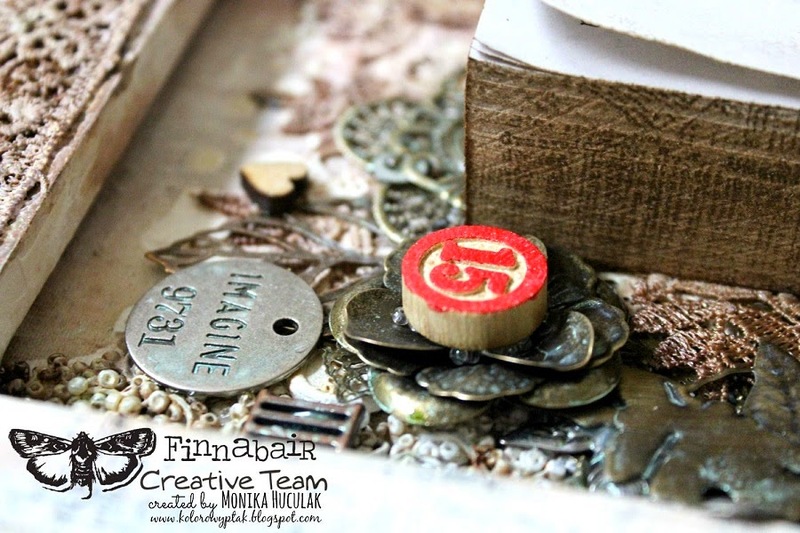 What a wonderful way to showcase a simple calendar. Thanks for ending the year so nicely. 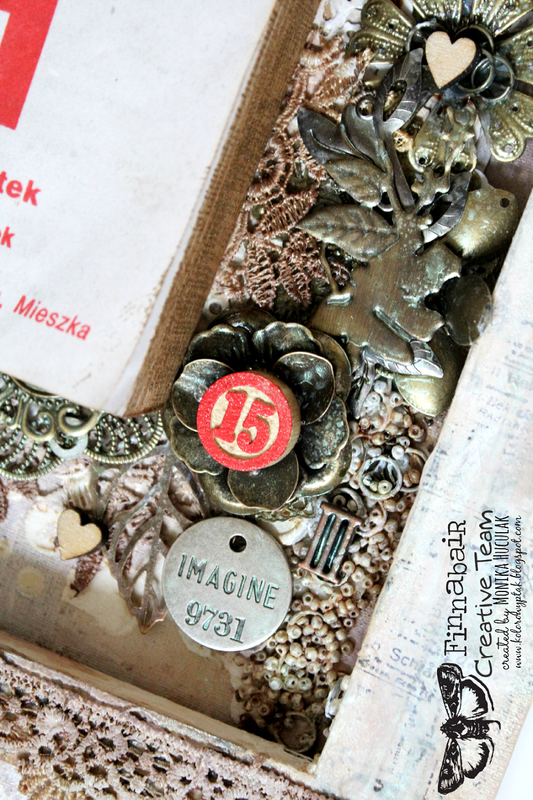 Fabulous piece - also very inspiring - thanks!